The first thing I think of when I think of faith healing is psychic surgery, a form of bloody theater where a practitioner digs into a body without the use of tools and pulls out what’s ailing the patient. It was popular in the mid-20th Century in the Philippines and Brazil and even comedian Andy Kaufman underwent a 6-week psychic surgery regimen before he died of lung cancer in 1984 (how much he did it for show versus actually hoping to be cured is unknown.) It’s an unusual tradition that’s been called a “complete hoax” by the Federal Trade Commission. The first thing Wendy could think of is Steve Martin in the movie Leap of Faith, where he plays a traveling huckster preacher going from town to town to “heal” people desperate for a little bit of holiness in their lives. I’ve always thought the idea that God could heal you and just chooses not to completely absurd. I’ve always had a materialist bent and in this area particularly because it’s so easy for people to take advantage of the desperate and the sick, much like Steve Martin in the movie. But then I thought a little more about it. Faith healing is humanity’s oldest form of medicine. Before a shaman could figure out medicines, before there was chemotherapy, before there were even leeches(!) there was just the basic belief that you will get over your sickness and return to normal. There was the faith that you were going to get better. Sometimes it happens, sometimes it doesn’t, but isn’t that belief part of what helps you get better? 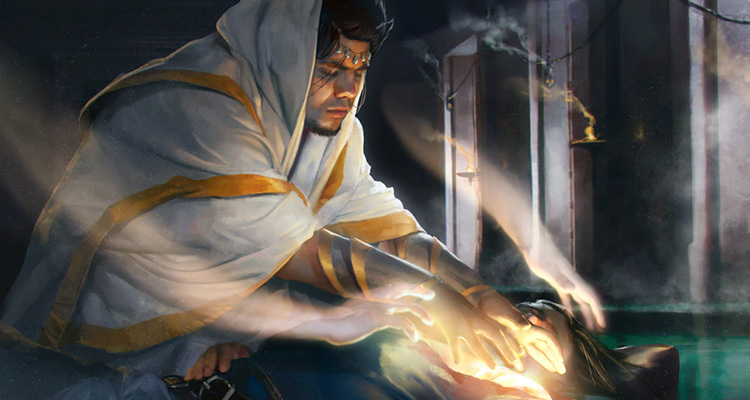 Even Dungeons & Dragons has clerical healing. My father grew up in the Christian Science tradition and we all know the stories about how Christian Scientists don’t go to Doctors (which would be a good follow-up episode to this one) and the “laying of hands” was a Christian as well as Jewish faith healing tradition for centuries. According to a Gallup poll in 2013, 39% of Americans go to church every week. And when you’re in church you pray for people that are sick. Even if we’re not believers, we know that good wishes probably can’t hurt them and a positive attitude might help. Now, I’m not making excuses for charlatans, but I am saying that while it might be different verbiage, a lot of us deal in “faith healing” a lot more than we think we do. I think about a study that was done when I was in college in the 1990s where we were told about kids with cancer playing a video game that would fight their illness and how it had promising results. That was actually the aspect of the field that I was most excited about. But isn’t faith healing just another form of psychological therapy to go along with modern medicine? 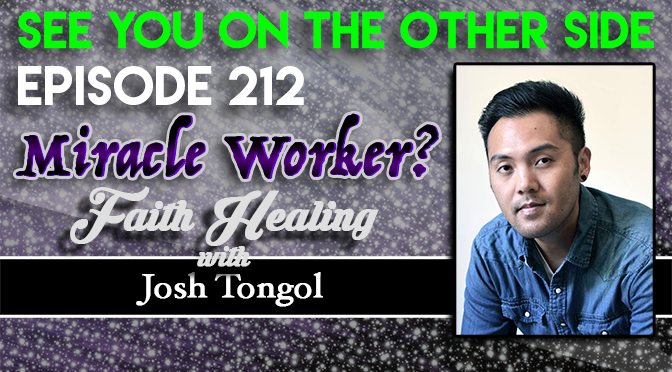 Our guest in this episode is Joshua Tongol. While he comes from a Filipino family that was raised in a Christian tradition where they believe in miracles like you would have seen at Steve Martin’s church in Leap of Faith. Josh was born missing a hand and all his life he prayed to be healed. He went to Christian revivals and services when he grew up in California purposely trying to heal himself, he truly believed that God would re-grow his hand. Josh Tongol has a podcast called The Flipside: Rethinking Spirituality and is the author of two books, So You Thought You Knew: Letting Go of Religion and The Secret to Awesomeness: Creating the Life You’ve Always Wanted. 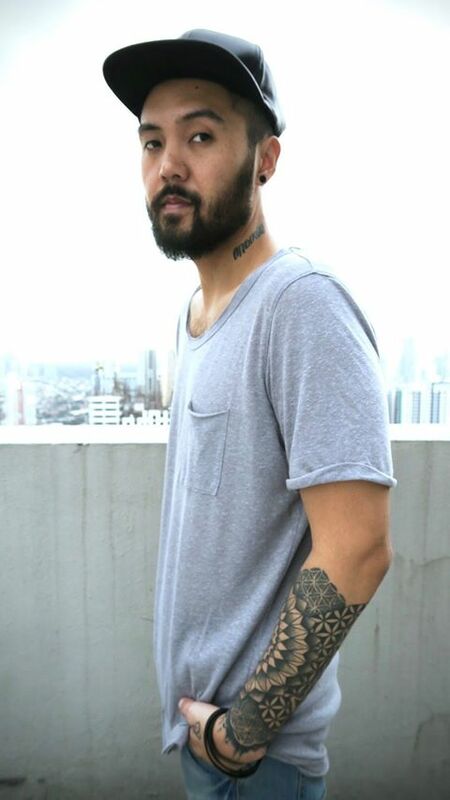 He currently resides in the Philippines and you can visit him at his site. JoshuaTongol.com. For this week’s song, we were inspired to sing about the televangelists of our youths. Guys like Jim Bakker and Oral Roberts were always making promises if they just got a little bit more money. God would provide more for you if you provided for them. And since we were hearkening back to the 80s, we went with some classic 80s’ Heavy Metal style. Here’s Sunspot with “Miracle Worker”. they’ve seen my bleeding hands. Some use anesthetic, I’ve got the opiate of people.